As promised, here’s a small review of the book. It was rather fast reading and I finished up the last few chapters last night before sleeping. This is the first book in a series to come, in fact it is the first book ever published, to my knowledge, from the author, David Scherer. David is an acquaintance of mine, it is only fair to tell you that since it probably colored my opinion of the book a bit. Never the less I’d still say it is definitely worth reading. The book would best fit under fantasy, it has magic in it; in the book referenced as majick. The story revolves around three young men; Mica, Kai and Matthias. We get to know them shortly before they get their rites and evolve from students to masters in the world of majick. As they get their rites, something strange happens to them, something that hasn’t happened for many many years, it was even thought to be just a legend among the elders. This is the start of the adventure, their destiny has been formed, and although they are given a formal chance to chose if they want to accept the destiny, they know all to well it is not really their choice to make. This book, The Prophecy, is only the beginning of a dangerous journey. Seem delivery was a bit faster then Amazon.com estimated, I just found the book in my mailbox. Stay tuned for a review in the next few days. Ever wondered what movie a quote came from? Comments Off on Ever wondered what movie a quote came from? Found an article about a search engine designed just for those times at a blog that I read frequently; cybernetnews.com (they blog about various things that happen around the Internet and computer world in general). The Search engine is called Subzin, and can be found at: www.subzin.com. You even get to know at what time in the movie the quote can be heard. You can also chose to list all quotes, which means you can rather easily find the whole conversation surrounding the quote in question. There’s not much more information about the movie itself though, but they link to IMDb for that, using a small image at the top of the thumbnail of the movie poster. Personally, I can’t say that I ever needed to find out what movie a quote came from, but I’m sure there’s uses for it. In this film we first get a brief introduction to who Precious is, and where she grew up. 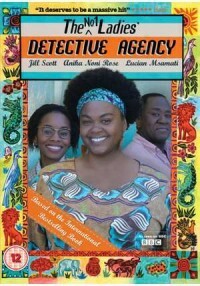 But also how it came she decided to start the detective agency.